So my hips fell apart. Oh, you know you're jealous. Diagnosis – I Have WHAT?!? 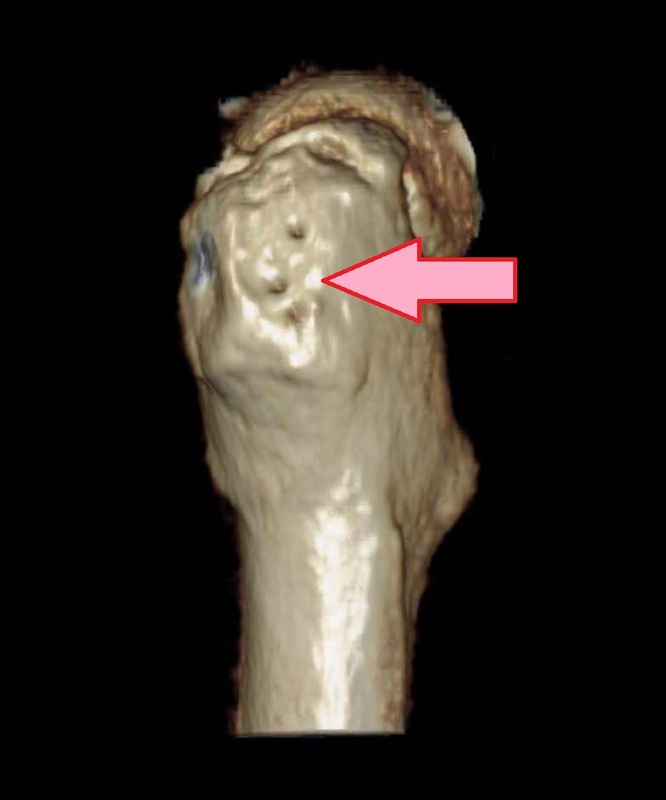 Acetabular and Femoral Retroversion — seriously?!? 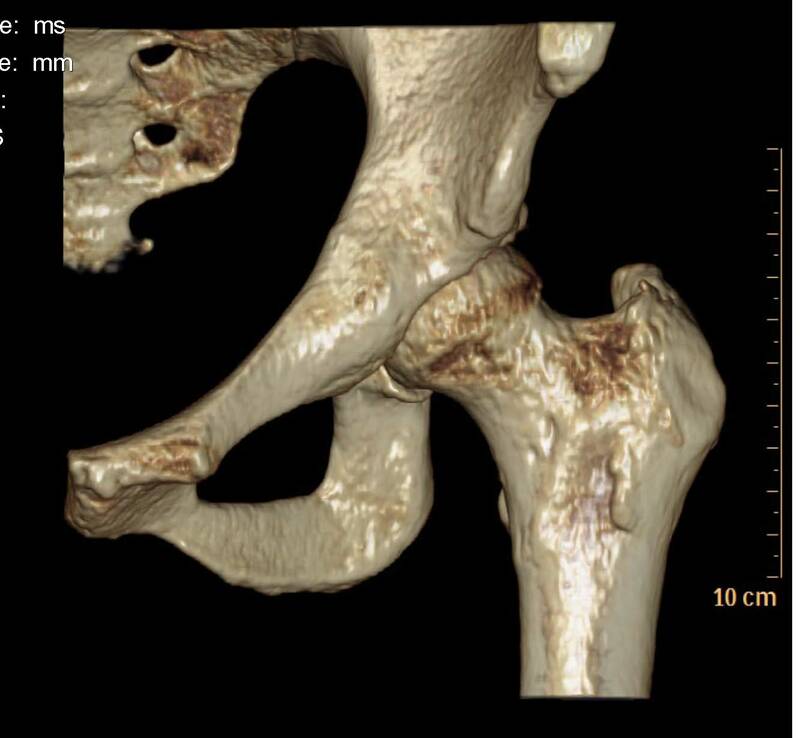 Developmental Dysplasia of the Hip — huh?!? Femoroacetabular Impingement — what the?!? Not long after my last post, in late January I started noticing that my left hip had developed a new pain. I was used to the pain around my greater trochanter (caused by screw related inflammation of the tendons — the arrow in the picture of my left hip points to where the hardware used to screw into the trochanter); however, this new pain was different. It was clearly coming from deep in the joint. Over the following two weeks I noticed the pain was chronic from my first step, and would become quite severe the more I walked. Sadly it got so bad that I busted out my crutch and called my surgeon who was able to get me in quickly. Since the cause of this new pain was not immediately clear, my surgeon ordered X-rays, an MRI, CT scan, and diagnostic injection into my left hip joint, as well as a 2 week follow-up appointment with him (which happened yesterday). The results of all of the tests showed that the pain was indeed emanating from the joint itself and not the surrounding soft tissue. The MRI showed cartilage damage and cartilage loss which was a bit of a surprise. 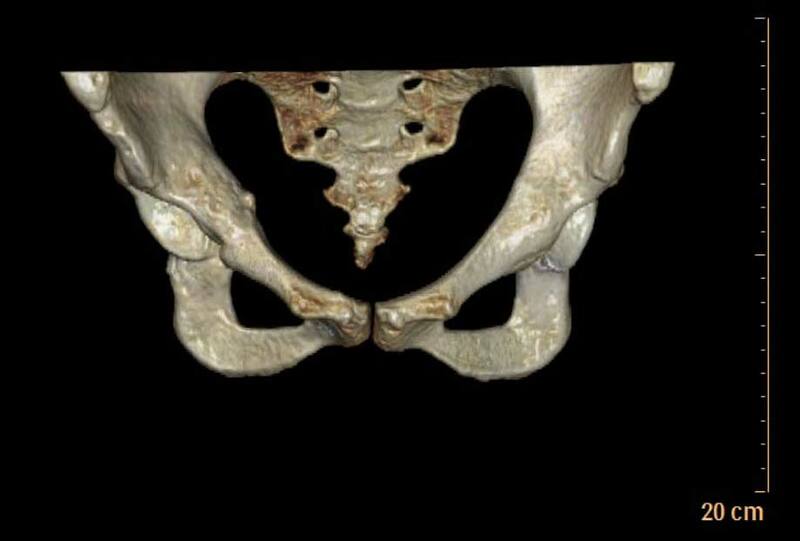 CT Scan of my left femoral head and acetabulum. Unfortunately, there is no way to fix cartilage loss except with a total hip replacement which, through some confusion, had been indicated to me that I might need. However, after completely breaking down at the thought of needing a hip replacement at 36, the confusion was resolved and I am happy to report that such procedure is hopefully still a long ways away. We discussed alternatives for how to deal with this newly developed pain and cartilage damage (as well as the hip flexor pain I still have in my right side). Rather than rush to surgical intervention, my surgeon and I decided on a plan of attack for the next few months. I will continue to do physical therapy weekly, do my exercises at home on a daily basis, and take Pilates classes 2 times a week (typically reformer or tower) but I will not over do exercise and I will not try to run until cleared by my dr. We also agreed that I would lose 25-30 pounds since body weight can contribute to the pain and apparently for each pound you lose, the effect on your hips is the equivalent of 3 pounds of weight loss! I’ll meet my surgeon monthly and if I’ve done all of the things that we agreed upon and I still have pain come summer we’ll then consider doing a arthroscopic surgery on one or both hips. Finally, I have begrudgingly stopped giving my body due dates to get better. Try as I might, I can’t will my hips into submission and I can’t make the pain go away by working harder. I’m really bad at remembering these facts but I try, and I think that the next few months will help me focus a bit more on the day to day living rather than trying to get to 100%. Let’s hope! This entry was posted in Uncategorized on February 25, 2014 by dramaticallyhip. Don’t feel bad about getting a hip replacement at 36. As a person that had that deep seated pain, nothing will take it away but the hip replacement. I am not a doctor but a person that has gone through what you are experiencing right now. I was told if I lost weight that it would help with the pain. To no avail, it made it worse because I had become active again. I don’t want to scare you away from trying all of this but want you to know from someone that was given similar information. By the way I was 28 when I had my hip replaced and it was and is the best decision I have ever made. My life is forever changed. Just curious, how long have you had your replacement? I wanted a replacement, but my surgeon said that chances for revision are high for someone at 29 years of age. He gave me a RPAO and said that this will hopefully improve my prognosis for an inevitable replacement in the future. Here’s hoping! Hi Meggan – sorry for my delay in responding. I have not had a replacement but it looks likely that I will need one on my left hip sometime next year. Like you, I had a RPAO and I feel hopeful that it has extended the longevity of my hip for many years (the Right hip feels pretty great, as compared to how it was pre-surgery). I had an open surgical dislocation on my left hip and while I improved initially, I have had continued problems which is why will probably need the replacement. If I were you, I would wait to see if the RPAO works before being concerned about needing a replacement. Keep in mind that recovery from these surgeries can take 1-2 years. My surgery was 19 months ago and it took until about the 17th or 18th month until I wasn’t noting any discomfort. It really takes time – give it time. I know, truly I know, how difficult it can be to be patient when you are looking down the barrel of recovery and then going through it. But I promise, if you give it time, you will eventually know if the surgery worked. And if it really doesn’t work, I would pursue other options. Let me know if you have any other questions. Best of luck!